These fat-free, gluten-free, dairy- and egg-free cookies are made from...BEANS and OATS! 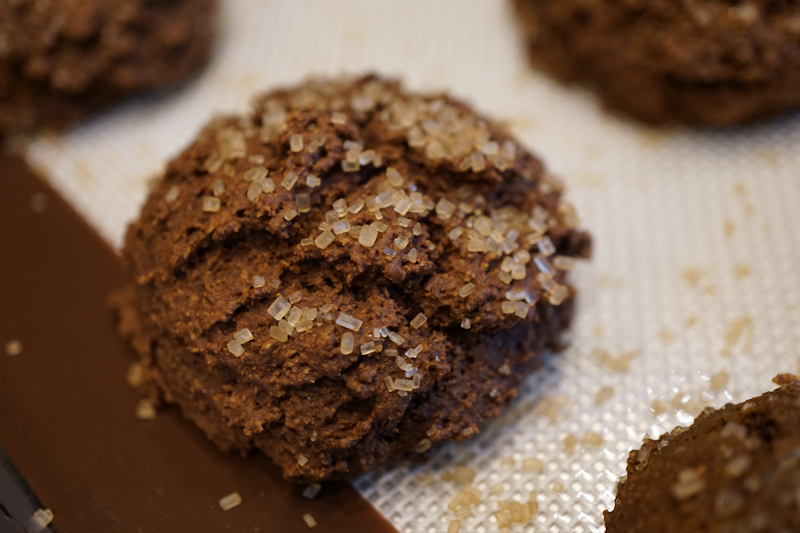 Yes, you can enjoy homemade ginger snap-like cookies with healthier ingredients. In your blender, combine the navy beans, molasses,sugar, and applesauce. Blend well. Mix oat flour, cornstarch, baking soda, salt and spices together in a mixing bowl until well combined. Add bean/molasses/applesauce/sugar mixture and stir until combined. Set batter aside to rest while oven heats to 350 degrees. Drop spoonfuls of batter on to the cookie sheet and sprinkle with raw sugar. Bake 12-15 minutes, or until cookies are firm to the touch. * To make oat flour, whiz instant or rolled oats in your blender until it reaches a flour-consistency.